Mission Guatemala : Latest News : Newsroom : Latest News : A New School Year Begins! 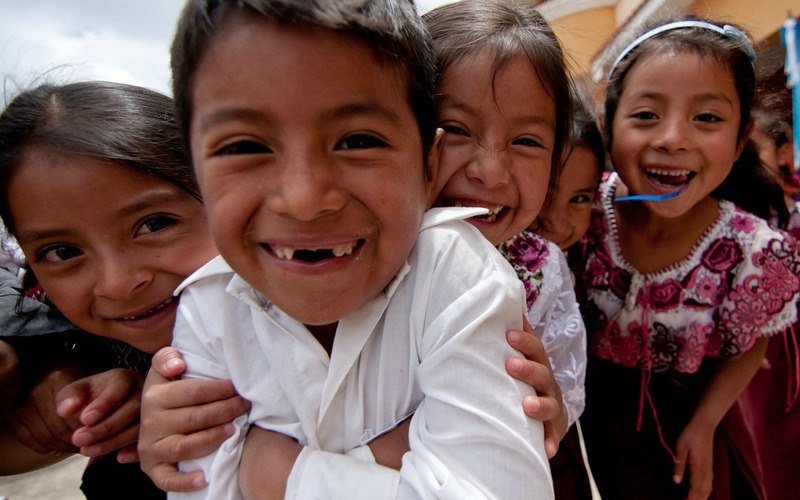 A new school year in Guatemala is beginning once again! And once again, we're welcoming new and returning students to Mission Guatemala's scholarship program, "Becas Con Misión" (Scholarships with a Mission). This year, we have 26 returning students and 38 new students in our scholarship program, and we're excited to once again have this opportunity to support middle and high school students from around the San Andrés area in their pursuit of continuing their education! In Guatemala, the only public education that the government requires and readily provides ends at 6th grade. Because of this, the high enrollment rates usually seen for elementary school students are cut by more than half, with less than 50% of students continuing their education at the middle and high school level. Now in its fifth year, the 'Becas Con Misión' program was created to support those students who had graduated 6th grade and had the desire—but not the necessary resources—to continue their dream of achieving higher academic goals. This year, thanks to the help of Mission Guatemala's amazing supporters, the program has grown to include 64 students from 16 different communities! Each student in the program is selected based both on economic need and their grades from elementary school. After being accepted, Mission Guatemala helps to cover the costs of inscription and tuition, as well as necessary school supplies and uniforms. The students are also provided with free access to Mission Guatemala’s medical clinic.